Hiking during the fall offers some of the most breathtaking scenery and wildlife encounters. The fall season also means the sun sets earlier, and the cold evening air seeps in faster. So it’s always a good idea to bring a reliable light source with you when you’re off hiking or camping. That way if you’re ever out in the dark, you can find your way back to the trailhead before the cold becomes too bitter. But what type of light do you bring? If you’re using a headlamp for your hike, then this small headlamp is an excellent option. Some might even say it’s essential for nighttime adventures. It’s small enough to fit snug in your pocket, but powerful enough to cut through the darkness with six different modes: three light intensities, a strobe light, a rear red light, and a rear strobe red light. The three AAA batteries the headlamp uses can power the device for up to 16 hours on maximum lumens (105), 30 hours for optimum lumens (48) or 55 hours for economy-setting lumens (26). On the other hand, if you need something more rugged and straightforward than our six-setting headlamp, then look no further than the virtually indestructible option. It’s made with high-performance LEDs, custom optics and has two modes: a180 lumen setting that illuminates 136 meters ahead of you and lasts for five hours, and a battery saver mode that drops the lumen output to 50 and the distance to 114 meters, but bumps up the battery longevity to 17 hours. These ultra durable headlamps also go through a 30-foot drop test, have a shatterproof lens and they are IPX4 water resistant. For anybody who has a lot of difficult rock scrambles in their hiking routine, then this option is an excellent fit. Flashlights are the classic option to light up your hike, and they come in plenty of sizes and brightness levels to meet whatever requirements you have. The only downsides of flashlights are you have to actually hold them somehow (we’re including your mouth and arms here, too), and they’re bulky and a bit heavy. Otherwise, a good flashlight will last you a lifetime and light up any dark space. 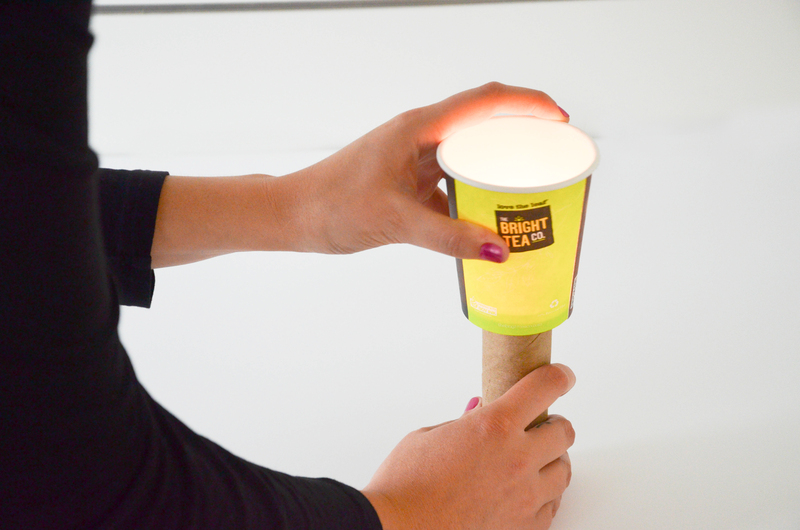 Our go-to flashlight to scare away the dark is called The Beast. This 2,000 lumen, dual-LED flashlight shines brighter than a car headlight when it’s on high, and still provides a respectable 200 lumens on the energy saving setting. We equipped The Beast with a frosted lens that improves its spotlight function. Plus the durable aluminum housing is going to hold up against nearly whatever rough adventures your evening hike can bring. Just in case you don’t need something strong enough to light up an entire football field like The Beast, we also have a high-performance LED flashlight that brings a powerful 320 lumens (75 in energy saving mode) that brightens an area up to 302 meters away (148 in energy saving mode). The battery life on this flashlight is stupendous, and it’s excellent for longer hikes or extended weekend trips. 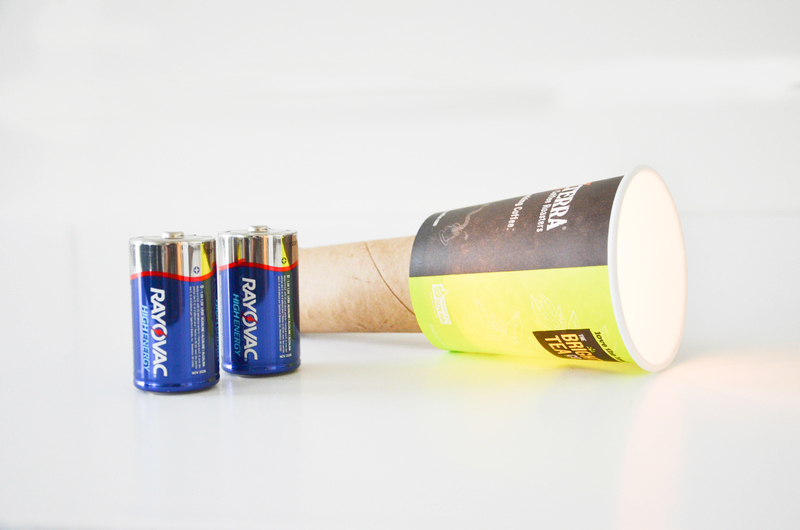 The flashlight lasts 16 hours on its high setting and 160 hours on the energy saver mode. Plus the aluminum-titanium alloy body can easily withstand our 30-foot drop test, and a shatter-proof lens alongside the ANSI FL1 water resistance means this virtually indestructible flashlight is going to handle whatever gets thrown at it. Lanterns are an excellent option for larger hiking groups who don’t want to blind each other with errant shines of a headlamp or flashlight. They work particularly well for picnic hikes, fishing adventures or any outdoor event where you’ll be standing still for a while. When you need a wide area lit up around you, even the darkest areas are conquered by this powerful lantern from the Rayovac Indestructible series. Some might call our Sportsman lantern the undisputed king of durable lanterns, and we agree. We’ve designed the lantern with multiple resilient features, various light output levels, a compact design and impact resistant internal engineering. If you’re looking for a rough-and-tough lantern that keeps shining when the darkness creeps closer, then your search stops here. 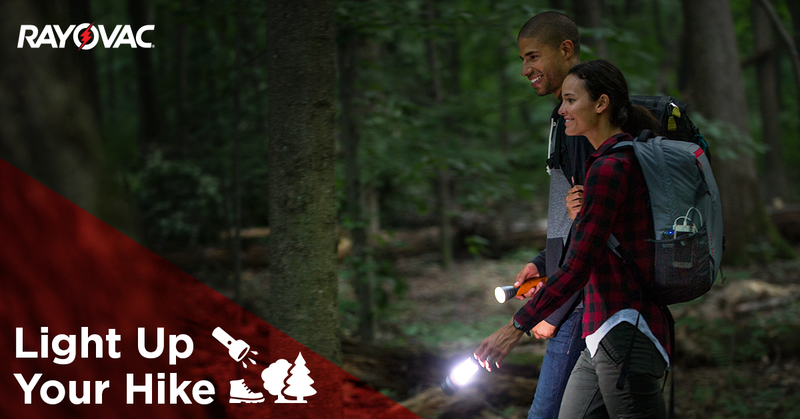 On the other hand, if you’re just hiking close to camp, then our SD 305 lumen lamp will satisfy all of lighting needs. We think of this as the perfect camping lantern, but it works well for group hikes, too. It’s water-resistant and has a sturdy handle and resilient casing that holds up to bumps, scrapes and falls. The three lighting modes allow you to customize the amount of light you need and the battery life you want. Halloween is the best holiday as a kid. Alright, maybe—just maybe—yuletide celebrations outdo dressing up as someone else and getting a tooth-rotting pile of candy. But that’s just because those holidays come with presents. Halloween lets us explore our imaginations, our fears and our sweet tooth. Despite how much fun Halloween can be, it also has the potential to be hazardous. It’s celebrating monsters and the underworld after all! So here are a few tips to keep your family safe during this frightful adventure. Brainstorming Halloween costume ideas is the best. It is fun listing out the monsters, demons and ghouls, and then figuring out the necessary supplies, time, dedication and crafting abilities (or lack thereof). But there is one common theme among the classic Halloween costumes: using black and other dark colors. The dark colors in kids’ costumes can make them difficult to see at night. On moonless trick-or-treat outings the kids are practically camouflaged by creepy shadows, which can give you quite the fright when they vanish before your eyes and even more of a scare when the oncoming cars can’t see them either. To keep your kids (and your heart) safe, be sure to incorporate some type of bright and reflective color into their costumes. Maybe your vampire needs a bright red scarf, and reflective red stripes on their cloak? Perhaps your tiny, cackling witch clutching at your hand should have a hat and cloak adorned with bright orange glow-in-the-dark patterns? Whatever your solution might involve, ensure it is bright and reflective. If your child doesn’t have a costume accessory that is easily modified with some reflective tape, then consider adding some reflective tape to their trick-or-treat bags, giving them a glow in the dark necklace, or a handy flashlight with long-lasting batteries instead. Sometimes we create the coolest costume idea, but the clothes we find to pull it off are too big. Perhaps the cloak is too loose, and your child can slip out of their shoes without even trying. This can easily become a dangerous situation if your child gets caught on a fence, entangled, or trips. Make sure they are comfortable! Let’s face it, masks are pretty cool. Your kids can literally turn into anything with a mask. But masks are also hot, itchy and limit visibility. If you’re trick-or-treating in an area that has heavy traffic or other hard to see dangers, then consider designing their costume with non-toxic makeup and decorative hats as safer alternatives. As with any type of makeup, it should be tested on a small patch of skin to check for allergic reactions and color. Fire is a cornerstone decoration in Halloween. When you’re shopping for costume supplies, especially store-bought costumes, wigs and accessories, double check that the materials are adorned clearly with a label saying they are flame resistant. When you are decorating your own home for Halloween switch out traditional candles for battery powered ones or even a small flashlight to light your pumpkins and luminaries. Review with children how to call 9-1-1 (or their local emergency number) if they ever have an emergency or become lost. We go trick-or-treating in the dark for a reason: it’s spookier that way! But, it’s harder to see the potential dangers lurking around every corner. But those dangers can actually exist outside of our minds, too. It’s really important to have a light source, and a strong one at that. (No, your phone doesn’t count.) We advise you carry a heavy-duty flashlight or wear a headlamp. You can get smaller flashlights, too, for your kids to explore what candy they get. Don’t forget to equip the lights with a fresh set of batteries. Halloween can—and in some cases should—be scary. But sometimes kids can get too scared. Some children handle being scared well and others panic and begin to run away. Stay at your kid’s side during the entire evening; don’t let them go wandering too far lest they disappear or get nervous and lose sight of you. Also designate what houses are okay for them to visit. The rule of thumb is to visit homes with the porch light on. This is particularly important for older kids who are off trick-or-treating by themselves. Review where your older children are going to go during their Halloween escapades, and then give them a curfew of when you expect them to be home. In case your kids do go out alone or they sneakily slip out of your sight, consider getting them a portable safety alarm, like the Rayovac Power Protect. The device is a small phone charger that doubles as an emergency alarm by pulling a pin. We hope you and your family have a fun, safe Halloween! The American Academy of Pediatrics (AAP) and Safe Kids provided recommendations for this story. Fall is finally upon us, and now we can start fully enjoying all of the wonderful activities autumn offers. If you’re looking for some fun family events and ideas to do this fall, then our list below will help! Early fall is the best time for camping. The leaves change colors, different animals migrate to the area and it’s the perfect temperature for campfires. Nothing tastes better than campfire-roasted fall foods. Sweet potatoes, corn and even s'mores! Make sure you have a portable lantern and a powerful flashlight for night hikes and curling up in your sleeping bag with a good book. Rayovac’s friend, Tim, has more advice to make your family’s camping adventures fantastic. Hands down, trick-or-treating is the best event in October. Halloween is so much fun, and getting to dress up as somebody (or something) else for a day can be a blast. Designing and creating costumes, and then slipping into the cool evening air and exploring the neighborhood among the other goblins and ghouls is equally spooky and delightful. Plus there is the month-long supply of candy, too. 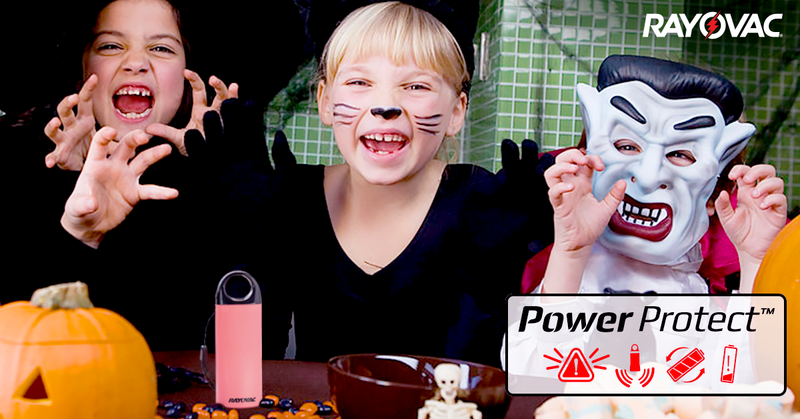 Be sure to visit the blog again in October for Rayovac’s Trick-or-Treating Safety Tips. If you live in an area that experiences autumn colors, then going for a hike can be one of the most breathtaking weekend excursions. Hiking in the fall serves as excellent exercise, and doing a summer hike in the fall can look completely different with foliage changes. Fall signifies the season when many animals are out and about, whether they’re migrating or simply enjoying the cooler weather. Depending on where you live, a quick jaunt into the woods, mountains or fields with a good pair of binoculars can let you spot plenty of animals you couldn’t see during any other time of the year. Is there anything more quintessentially fall than pumpkins and corn mazes? If your family hasn’t visited a farm to track down the perfect pumpkin (to carve or cook) or get lost in towering stalks of corn, then this is a activity is a must! Science can get messy, and that’s why doing science experiments outside works so well. The ground soaks up any spills, and running these experiments outside helps connect you and your kids to the natural world they’re exploring. Science-Sparks has a fun list of 20 outdoor experiments for kids. 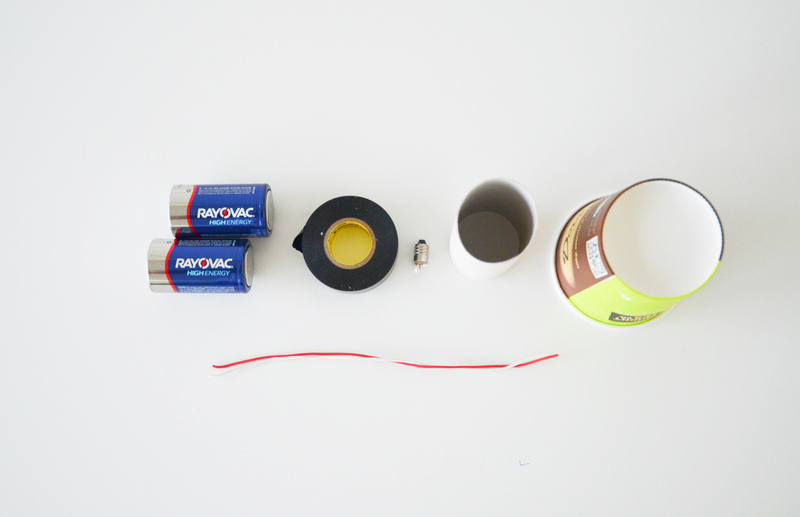 And here are two of our favorite experiments: building a tomato battery and making a homemade flashlight. Another one of the best things about the Halloween season, barely edged by scary movies, are haunted houses. If your kids are old enough, then taking them to a haunted house can be one of the best experiences they’ll have all Halloween. The whole family will scream, cry and laugh, scrunch your noses and yell ewww, and feel relieved to escape the horrors. Nothing says fall more than a delicious cup of cocoa with friends and family. Have the kids join in on the fun by creating mason jars full of hot cocoa ingredients to hand out or to keep at home. Get super fancy and top off the powders with mini marshmallows and cocoa shavings. Want to decorate the house for Halloween, entertain the kids and stay on budget? These paper bag jack o’lanterns are the best option. 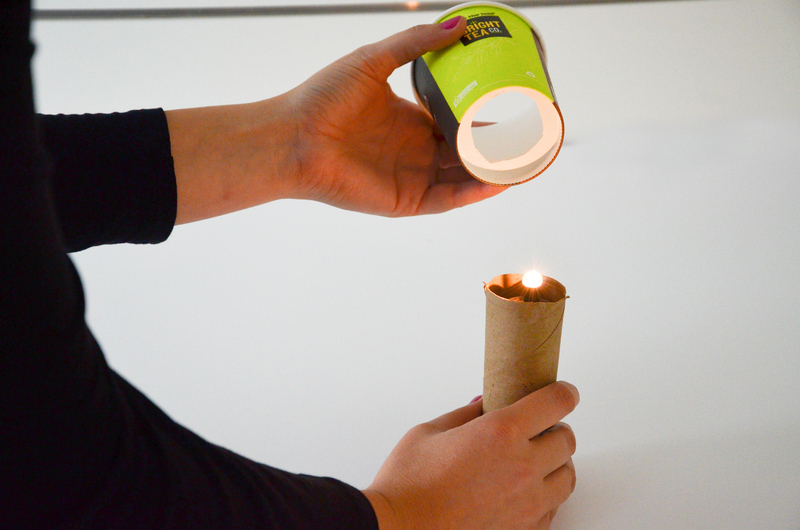 Using lunch sacks and tea light candles around the house, kids can color away and make the house festive! What would the holidays be without coming home to the delicious aroma of cookies? Cookie baking and decorating is a great way to bond with the children and create memories to look back on. And with it being the holiday season, stores will be stocked with fun cookie cutter shapes or pre-made doughs. Increase the fun factor by purchasing food coloring and vanilla frosting so the kids can create fun designs on their cookies. 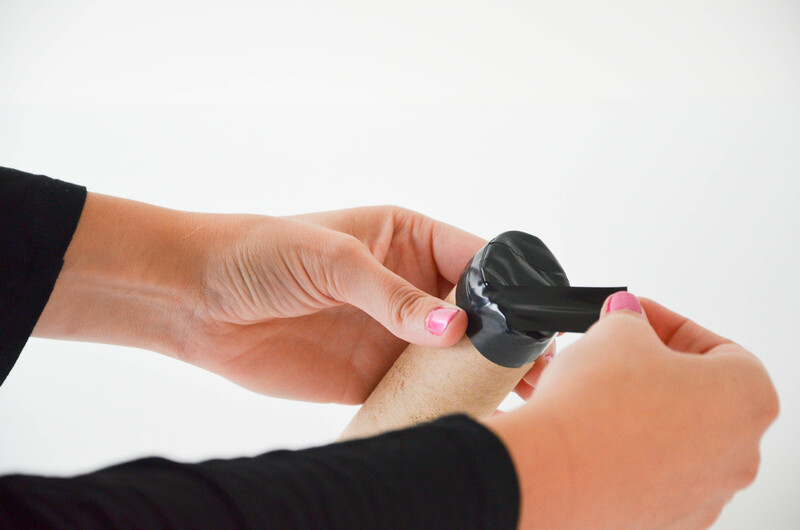 Want to have a few minutes to yourself without the kids getting in your hair? Hide some items around the house, draw a map and tell them to get hunting. Provide a prize for the winner. Perhaps something like no chores that week. You made hot cocoa and cookies and decorated the house for Halloween. Now put it all to use with a scary movie marathon night. Let each kid choose a movie, and make it a fun event for the whole family. Sometimes relaxing on the couch is exactly what the family needs. Take crayons and watercolor paints to the next level by adding tape to the mix. Try something simple to begin with: cut a shape or letter into a piece of painter’s tape, apply the tape to a piece of construction paper, and then let your kids color or paint all over the page. Once the paint’s dry, peel the tape away and enjoy the blank white shapes. If your kids haven’t watched Ninja Warrior on TV, pull up YouTube and watch their fascination grow. Then get to work. Create an obstacle course for the kids and time how quickly they can get through it. Think of hopping over pillows, crawling under tables and dropping for 20 push-ups. Talk about getting the kids ready for naptime. Got a musical genius on your hands? Or an artist at heart? Combine arts and crafts and music for an afternoon well spent. 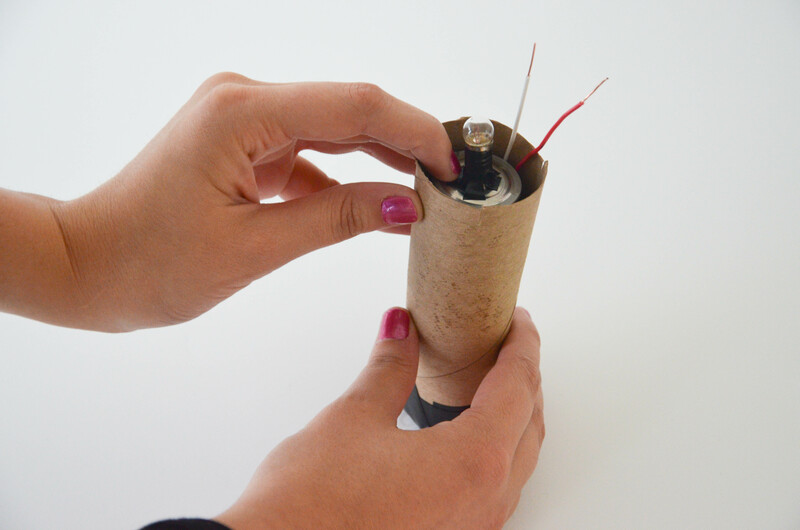 Click the tutorial above to learn how to make a guitar with an old Kleenex box, a few rubber bands and a paper towel tube. 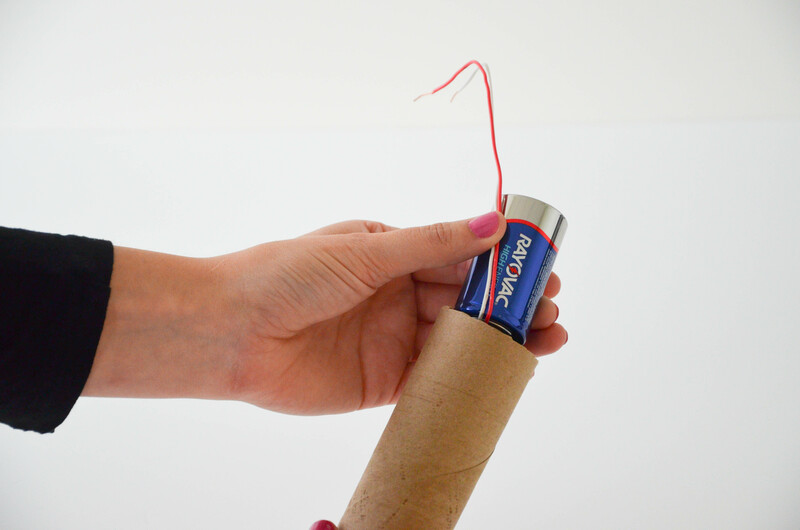 This best part is this DIY arts and craft project will last, and the kids can play with it again the next day or week. 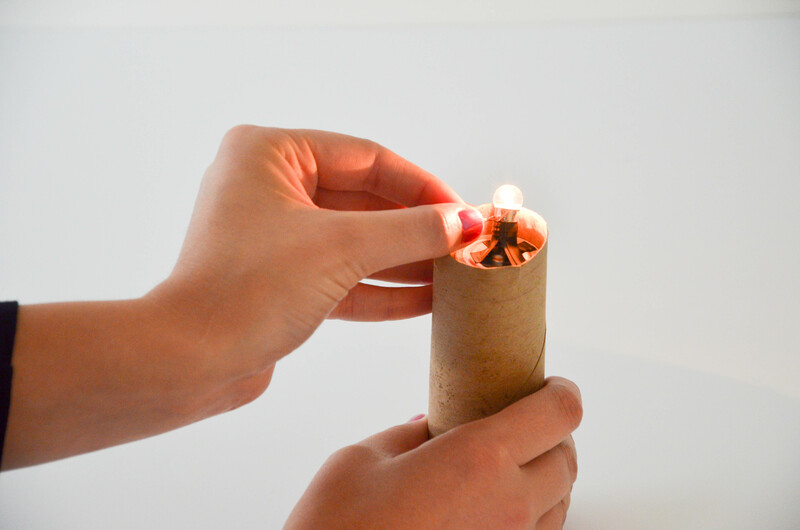 Like the Kleenex box guitar, this is another DIY project that can be kept and used later on. The glowing bouncy balls are perfect for a weekend at home with nothing to do, but remember to buy the ingredients in advance. There aren’t too many items needed, but borax probably isn’t sitting in an average person’s pantry. Cut a few circles of varying sizes into a cardboard poster and have your kids fly their paper airplanes through them. The tutorial above shows a poster with a point scale – more points earned for smaller holes and fewer points earned for larger holes. This activity will keep the kids occupied for hours! 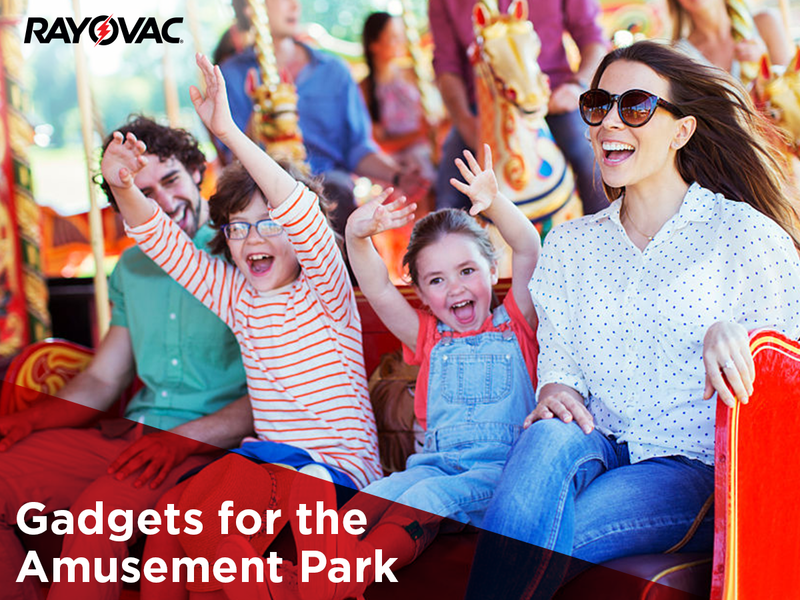 Amusement park crowds can be overwhelming and swarms of people can make it easy to lose sight of your little one. The Rayovac Power Protect can help. The Power Protect is a small cylindrical phone charger that has a built-in flashlight and a 100 decibel emergency alarm. The device is similar in size and shape to a small can of pepper spray, and it has a ring at the top that acts like a panic button. Pulling the ring causes an attention-snatching alarm to erupt and should draw the notice of any passerby. The safety siren is even audible from 200 yards away*. To deactivate the personal alarm, press the power button or snap the ring back to its original setting. The Power Protect was designed for anyone who wants a sense of personal safety.Giving one to your child in case of an emergency will ensure that you (or security) find them fast in any crowded, noisy environment. *varies by geography and environmental conditions. Amusement parks come in all shapes, sizes and have plenty of different attractions. But one thing is unanimous among them all — long lines. Fall weather can be unpredictable no matter where you live in the country, and standing in line in sweltering heat can be miserable. But sSomething simple like a battery-powered handheld fan can make the lines much more bearable. Snag yourself a fresh pack of Rayovac’s alkaline batteries, and enjoy the cool breeze and slight mist from your handheld fan. Just make sure your kids don’t forget theirs on the ride! The first time your child rides a rollercoaster is priceless. The look of exhilaration, fear and joy that flow across their face is something you won’t soon forget. And because of smartphones and social media, it’s a sight your friends and family won’t forget either. But chances are you’ll be taking a lot of photos and videos of the family’s escapade throughout the park which drains phone batteries fast. Just be sure to toss one of Rayovac’s portable phone chargers in your bag, and you’ll never have to miss capturing those goofy, gleeful smiles. One of the best things about being a kid in an amusement park is the sense of wonder and amazement at your surroundings. Everything in the park is typically so huge and foreign to a child: rollercoasters, fun houses, prize games and costumed staff members. Letting your child have a kid-friendly digital camera is a great way to see the park through their eyes, and encourage them to pay attention to their surroundings. You can find rechargeable lithium-ion cameras and battery-powered options, too. Rayovac’s rechargeable batteries last up to 4X longer in digital cameras than their alkaline battery cousins. In May, we spoke about hearing aid innovations with Denis Carpenter, the director of technology, who has worked with Rayovac for 37 years. He expressed that many people still have misconceptions about hearing aids and hearing loss in general. 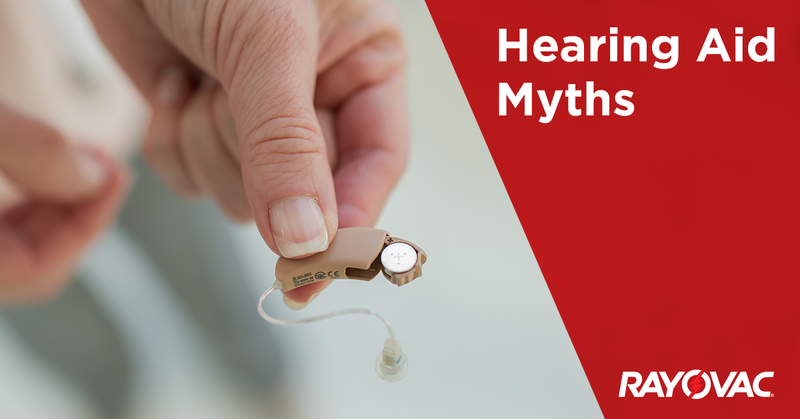 Helping people hear is an important Rayovac commitment, and we want to clear up any common misconceptions about hearing aids, hearing aid batteries and hearing loss. Truth: Hearing loss can affect anyone at any point in their life. About 48 million Americans report some degree of hearing loss, and more than 10 million people in the United States have permanent hearing loss from loud noises. Another 30 million Americans are exposed to harmful noise levels every day. And although the generalization that hearing loss is an elderly problem has some merit, because one out of three 65 year olds has a hearing impairment, this ailment is far more widespread than a single demographic. Roughly 30 percent of Americans between ages 50 and 59 have some degree of hearing impairment, and about 5.2 million children and adolescents aged 6 to 19 years old have suffered permanent damage to their hearing from excessive noise exposure, according to the Centers for Disease Control and Prevention. Truth: Hearing loss is unique to each person, and the amount of hearing that hearing aids can restore is unique to each user, too. Hearing aids are not like glasses, which can often restore a wearer’s vision back to “perfect.” The amount of hearing someone regains depends on the extent of their hearing loss, and the type of device they use. Perhaps for one person the restored hearing is the equivalent of perfect, but for someone else the device just lets them hear a bit better than before. However, this gap is narrowing. New hearing aid devices are getting better and better, year after year. And as the devices become better, so will the restoration possibilities people can tap into. Truth: Loud noise is the most common cause of hearing loss, but it’s not the only cause. There are many other contributors, including aging, a poor diet, diabetes, genetics, medication side effects, smoking and trauma. All of these conditions break down and destroy the hair cells in the inner ear, which are what transmits soundwaves to the brain. We’re born with a specific amount of these hair cells, and once they’re damaged or destroyed it permanently affects our hearing capabilities. Truth: When hearing aids transitioned from analog devices to digital ones, engineers gained the option to acutely modify incoming sound and how those noises are transmitted to the ear. This sound manipulation comes with more sophisticated directional microphones that can automatically amplify some sounds, while muffling or muting others. Let’s say a child is genetically hearing impaired and a sound wave enters her ear. The device interacts with the soundwave and an algorithm determines the noise is too quiet and it needs to be made louder so she can hear it. Analog devices could accomplish this amplification. However, analog aids increased the volume of everything, which made it more painful her already-loud sounds. The solution is eliminating excess background noise and programming hearing aids to siphon the important noises to the forefront. So contrary to the myth, modern devices actually handle excess background noise very well. Truth: Hearing aid batteries should be stored at room temperature. Like alkaline batteries, storing a zinc air battery in the refrigerator may actually harm the battery. The zinc air battery has holes in the top to allow maximum airflow, and if you put them in the refrigerator then condensation forms on the battery casing and moisture drips into the air holes. The moisture fills up the battery which ultimately can lead to premature battery failure. Truth: Much like hearing aid performance and hearing restoration, hearing aid battery life is different for everyone. Many factors affect how long a hearing aid battery will last including battery size, aid usage, type of device, temperature, humidity and more. To learn more about to get optimal hearing aid battery performance, visit our hearing aid battery facts page. 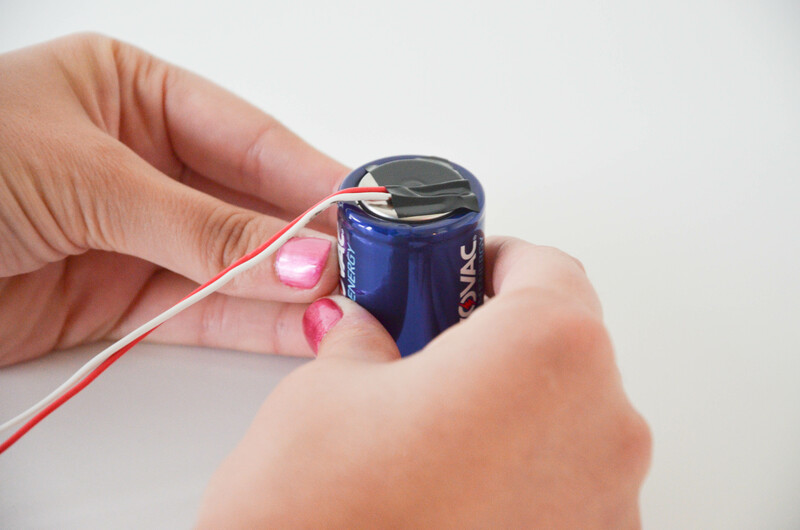 Truth: You should let you hearing aid battery sit un-tabbed for one minute before placing it into your hearing aid. This step allows air to enter which is critical for use. The hearing aid battery is activated when the zinc within the battery mixes with the air from the environment. To learn more about hearing health, hearing aids and hearing aid batteries, visit Rayovac’s hearing aid resource center.